The Forty-first United States Congress was a meeting of the legislative branch of the United States federal government, consisting of the United States Senate and the United States House of Representatives. It met in Washington, D.C. from March 4, 1869, to March 4, 1871, during the first two years of Ulysses S. Grant's presidency. The apportionment of seats in the House of Representatives was based on the Eighth Census of the United States in 1860. Both chambers had a Republican majority. During this Congress, Virginia, Mississippi, Texas, and Georgia were readmitted to representation. This list is arranged by chamber, then by state. Senators are listed then by class and Representatives are listed then by district. Senators were elected by the state legislatures every two years, with one-third beginning new six-year terms with each Congress. Preceding the names in the list below are Senate class numbers, which indicate the cycle of their election. 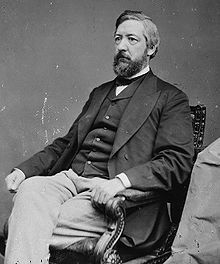 In this Congress, "Class 1" meant their term began in this Congress, facing re-election in 1874; "Class 2" meant their term ended in this Congress, facing re-election in 1870; and "Class 3" meant their term began in the last Congress, facing re-election in 1872. Maine (2) William P. Fessenden (R) Died September 8, 1869. Successor appointed October 30, 1869. 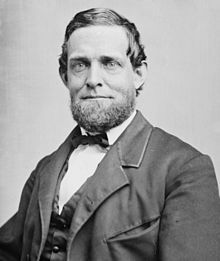 Iowa (2) James W. Grimes (R) Resigned December 6, 1869, because of failing health. Minnesota (2) Daniel S. Norton (R) Died July 13, 1870. 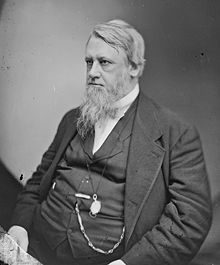 Missouri (3) Charles D. Drake (R) Resigned December 19, 1870, after being appointed chief justice of the United States Court of Claims. Missouri (3) Daniel T. Jewett (R) Interim appointee retired. Congressional Directory for the 41st Congress, 1st Session. Congressional Directory for the 41st Congress, 1st Session (Revision). Congressional Directory for the 41st Congress, 2nd Session. Congressional Directory for the 41st Congress, 3rd Session. Congressional Directory for the 41st Congress, 3rd Session (Revision).